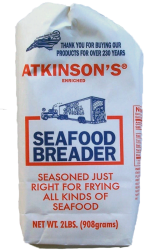 Atkinson's Regular Seafood Breader has long been a fried seafood staple in the South. Mildly seasoned, this breader gives you a light coating on all kinds of seafood. A favorite of "Calabash-style" cooks for over 35 years, both in restaurants and in homes. 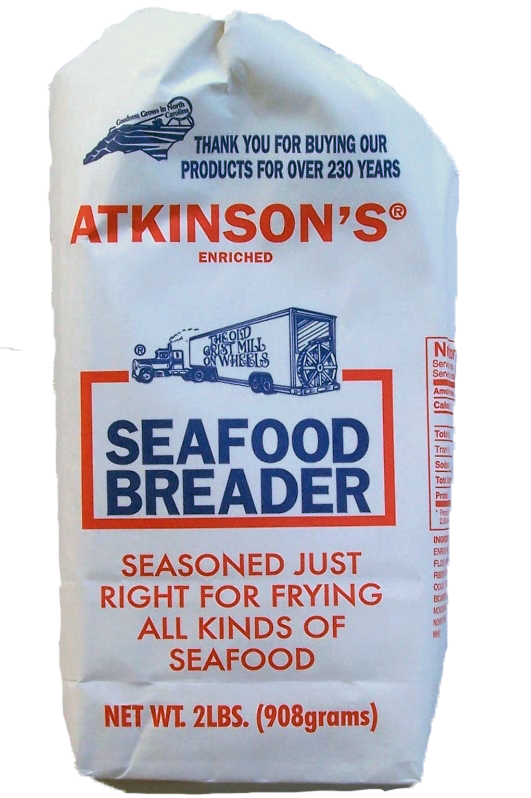 So, for a fried seafood taste that has stood the test of time, try Atkinson's Regular Seafood Breader. This is the absolute best seafood breader I have ever had hands down! My Dad gave me a bag and said try this I really like it! He wasn't kidding!